The pure alkaline Carlsbad water makes it even better! 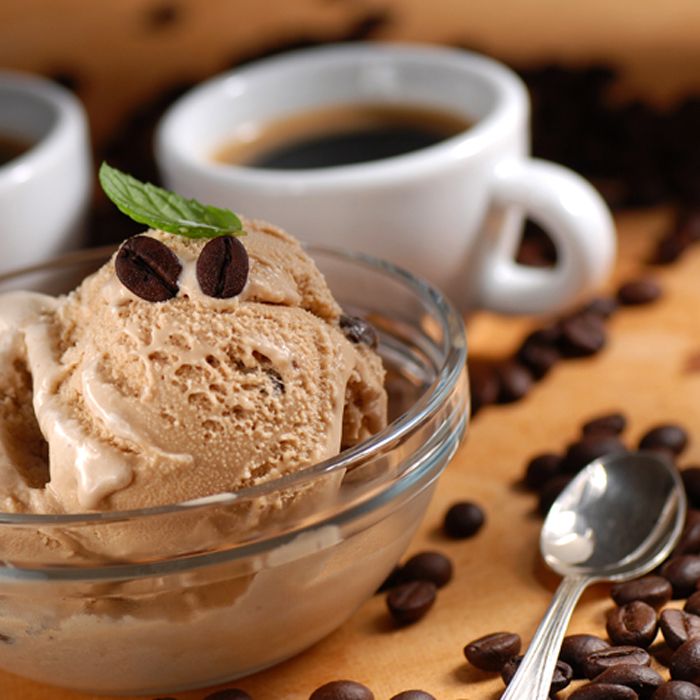 The word ‘Gelato’ derives from the Latin “gelatus” that means “frozen”. 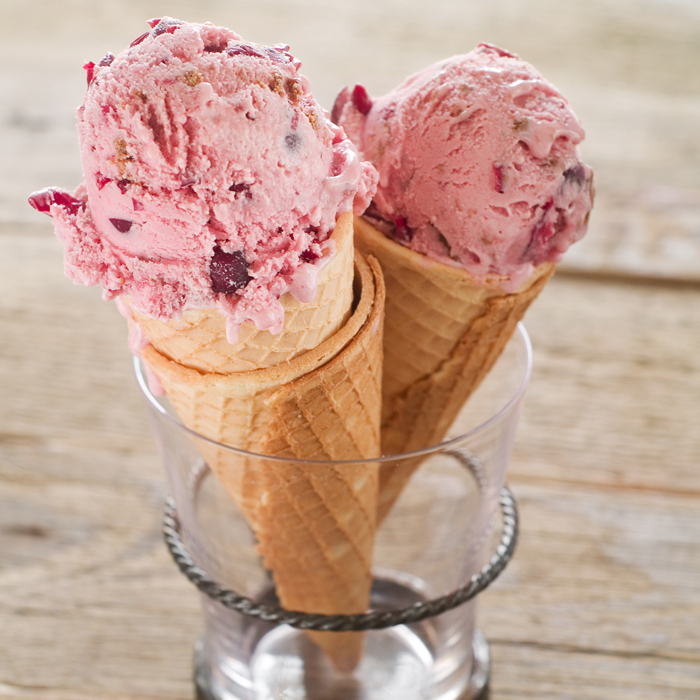 Gelato contains 1/2 the fat and a 1/3 fewer calories as compared to traditional ice cream. Additionally, while ice cream comprises as much as 60% air, the content of gelato measures at about half that. These differences give gelato a creamier, smoother texture and a richer, fuller flavor. Gelato started in Asia and Egypt by mixing snow with honey and fruit. These ancient recipes landed in the Italian island of Sicily. Gelato became very popular all over Italy during the Renaissance. Today, Italy is the only country where the market share of handmade gelato is over 55% versus industrial one. Sorbetto is a type of gelato made from fresh fruit and no dairy. The word "sorbet" or “sherbet” is possibly derived from the Arabic word "sharbah" (syrup), but the root is also present in the Greek and Persian languages. The first sorbet were made of fruit syrup, sugar, salt and snow. Granita is a frozen dessert made out of fruit, water, and sugar. Coffee, lemon and almond flavors are also available: all of them are dairy free. The texture varies from coarse to smooth and it is always different from gelato which is creamier, and from sorbet, which is more compact. This makes granita a distinct and unique dessert originated in Sicily. In May 2014 Cristina and Paola moved from Rome directly to Carlsbad to bring the authentic taste of the worldwide renowned Italian gelato. Fabrizio is also part of the business, administrating Gaia Gelato from Italy. Our passion and research for the most outstanding traditional gelato brought Chef Cristina to Università dei Sapori in Perugia, Italy (University of Flavors) http://www.universitadeisapori.it, where she attended long term courses in artisanal gelato production, frozen pastries and decoration, working and learning from some of the most famous Italian and Sicilian gelato masters. Our expertise also combines degrees in Naturopathy, Nutrition, Yoga Therapy, together with a strong knowledge in communication, economics, business administration and professional gelato production and marketing. After graduating in Economics at Luiss University of Rome, I worked as a Financial Analyst for some of the major International Corporations like Johnson & Johnson, Aeritalia, Mobil Oil and Kuwait Petroleum Italy. My passion and research for the most outstanding traditional gelato brought me to Università dei Sapori in Perugia (University of Flavors), where I attended two long term courses in artisanal gelato production, frozen pastries and decoration, working and learning from some of the most famous Sicilian gelato masters. I also hold a 4 year degree in Naturopathy and Nutrition. With a University degree in Marine Biology, I became an expert in environmental communication and media relations, working as a journalist, information officer and campaign coordinator for national and international organizations. I write as a freelance journalist specializing in health, food, environment and wildlife, for the National Geographic Italian website, The Huffington Post and the main Italian news website La Repubblica. As a LUISS University of Rome graduate in Economics, I became an expert in Corporate Governance, Internal Auditing, Risk Management, Organization and Compliance. My knowledge developed working for some of the major Italian Corporations as Gruppo Ferrovie dello Stato (National Railway and Train system), RAI National Television, ENI ( the Italian Oil Company), where I was Senior Vice President of Internal Audit. I now work as Senior advisor for some of the major Corporations, as Telecom Italia, Sibelco and Solvay.